Ya know, I named this blog BlerdyMomma because I am a nerdy, black mom and those are 3 characteristics about me that will never change. But I don’t actually talk about my children all that often. That’s mainly because I don’t think my children should have a huge web presence before they can even read. And how do I know some weirdo won’t take their pictures off of here and turn them into some ridiculous meme? I guess I don’t. But leaving my kids off the blog means that a huge chunk of my daily life goes unmentioned. How can I really share our blerd family lifestyle if I’m not talking about half of the family? I can’t. They come with us to conventions. They love to watch WWE every week. And they both have Sickle Cell Anemia. Sickle Cell is a genetic blood disorder affecting millions of people worldwide. Just in America, 1,000 babies are born with it every year. But most people know nothing about it. That’s probably because it disproportionately affects minority groups here. Little Man has Sickle Cell. Sickled blood cells cannot work as hard or live as long as healthy red blood cells. Because of this, they lead to all sorts of health problems over time. My children are at high risk for things like stroke and pneumonia, and they suffer from episodes called “pain crises”. A pain crisis happens when their sickle – shaped blood cells traffic jam in their arteries, blocking blood flow and causing very painful swelling at the site of the blockage. Parents like me have the challenging job of advocating for children with what is essentially an “invisible illness” 80% of the time. Little Man is just now getting to a point where he can describe his symptoms and learn about what is happening in his body. And next year he’s going to start school where the staff probably won’t know, understand, and in some cases, believe him. I am talking about this because sickle cell disease is twice as common as cystic fibrosis, and yet I rarely meet people (doctors included) who have a working knowledge of the disease. I just want to share a few tidbits that will let you know how to support someone with sickle cell. Stay hydrated – Dehydration will almost invariably lead to a pain crisis in someone with SCD. Avoid extreme weather – You know how your hands go numb when it’s too cold outside? That can become a pain crisis too. NEVER ignore a fever – Fevers can be a sign of blood infection. A fever is always grounds for a visit to the doctor. Avoid sick people – The common cold is not bad by itself. But having SCD means that the blood cannot work as hard to heal my kids. Fighting off that cold could cause their blood cells to break down faster than they can replace them. When that happens, they need a blood transfusion. Baby Hulk has Sickle Cell, too. Sickle Cell 101 – The SCDAA website is full of great, easy-to-understand information about SCD. They also offer networking opportunities and local support groups for patients and their families. Centers for Disease Control and Prevention – The CDC is constantly researching and publish new information about SCD, its treatments, and tips for healthy living. The Invisible Pain People With Sickle Cell Anemia Go Through Every Day – This article by Jim Olaghere is a snapshot of what it’s like living with SCD. 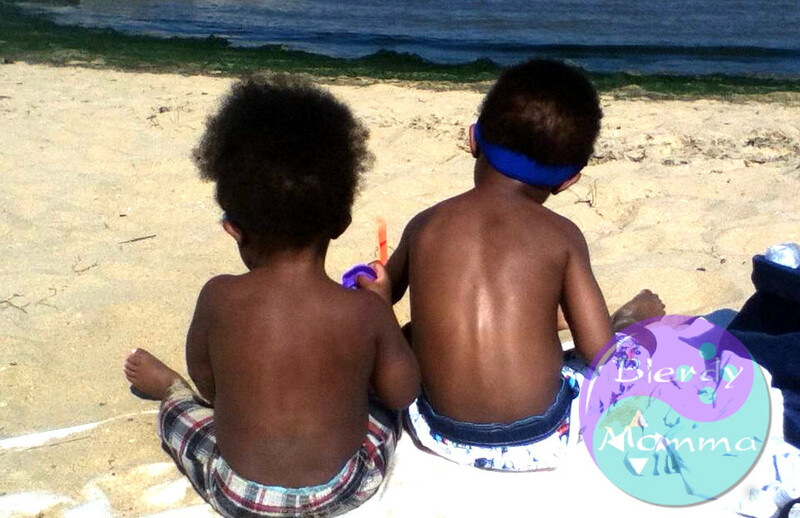 As my children and I grow, I am learning more about Sickle Cell every day. I often forget how unique my children are, because this is a genetic disorder diagnosed at birth, and we simply don’t know what it is to be normal. They were born this way, and symptoms started showing before they were each a year old. I love my boys and I wouldn’t change them for the world, so I guess I better change the world for my boys.